The previous post highlighted a number of issues and rather than reply to them all individually, perhaps a concise summary of the processes involved might be enlightening. Before I start, here is the disclaimer - in trying to be brief, the process below has been much simplified and the legal profession may question the accuracy! Also, different circumstances may affect the legal process. I might also point out that a wee bit of personal opinion may creep in here and there, but this will be made clear. Generally, following a fatal accident in Scotland, the investigating police officers may call in the Procurator Fiscal who will then decide whether or not to initiate a more detailed police investigation. As a result of that investigation the Procurator Fiscal may prepare evidence for submission to a Fatal Accident Inquiry. If an FAI is considered to be of public interest, this will be conducted before a Sheriff in the Sheriff court. As the most senior Law Officer in Scotland it is the Lord Advocate who will determine if such an FAI is to take place. Although independent of the Scottish Government, the Lord Advocate is not actually a member of the Cabinet, but receives all Cabinet papers and may be required to attend Cabinet meetings. After the accident in May 2014 the Procurator Fiscal submitted the police report to the Lord Advocate for consideration early in 2015. You may recall however, that the Glasgow Bin Lorry crash occurred in December 2014. It has been suggested that Government may have requested the Lord Advocate to treat this with priority. You may also recall that there was a second bin lorry crash in Glasgow in September of 2015. There were no fatalities on this occasion, but one can imagine that the legal authorities were concerned. All of this caused further delays in other ongoing investigations. Then in March 2016 the then Lord Advocate decided to step down before concluding his report into the rally accident which meant that a new Lord Advocate had to be appointed. He took office in May and had to catch up with 'unfinished business' causing more delays. He has now ruled that an FAI should take place and the process will commence next month. It has been intimated that the actual FAI hearing will take place before a Sheriff in July and should last six weeks. So at least we have some idea of the timetable now, although that could change due to unforeseen circumstances. As for the MSA, they are not accountable to us. It is not a democratic body, but that could be said of most national sporting authorities. These national sporting authorities are independent of the national government too, so neither the Secretary of State for Culture, Media and Sport or the Minister of Department for Culture, Media & Sport have any jurisdiction. In fact rarely does the DCMS interfere in 'sporting matters'. As has been mentioned in this page before there was an attempt to try and introduce an alternative motor sporting authority in the mid 1980s when the Royal Automobile Club actually controlled motor sport through a separate division. The rival Automobile Association was approached and although the idea was seriously considered, getting it past the FIA was going to be a tough call. They have the final approval of national motor sporting authorities. However, before it got that far, the RAC promised change and now we have the truly independent MSA. In other words we lost our chance then to introduce radical change. Both the RAC and AA are completely different organisations these days anyway. 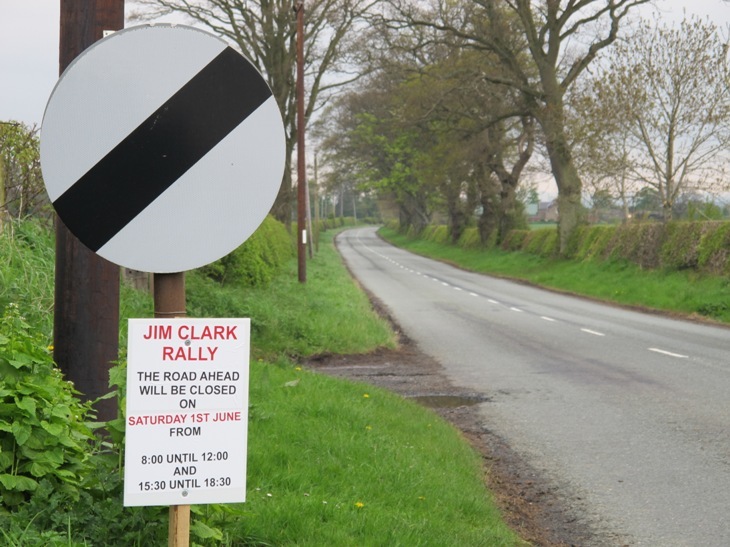 As for their decision not to issue a Permit for the 2017 Jim Clark Rally, we have to accept their reasons based on advice given by their insurers. Whether you agree with that is another matter, but at the end of the day it is their call. However, we must bear in mind the unique circumstances surrounding the fatal accident on the 2014 event. It is now a matter of public record that two of the victims were 'media professionals' and duly accredited as such, but they had two 'friends' travelling with them on that fateful day. This may have contributed to the complications surrounding this whole investigation. It could therefore be argued that this was not entirely a 'sporting matter' but also a 'workplace issue', but it's not for the likes of me to offer an explanation or opinion.